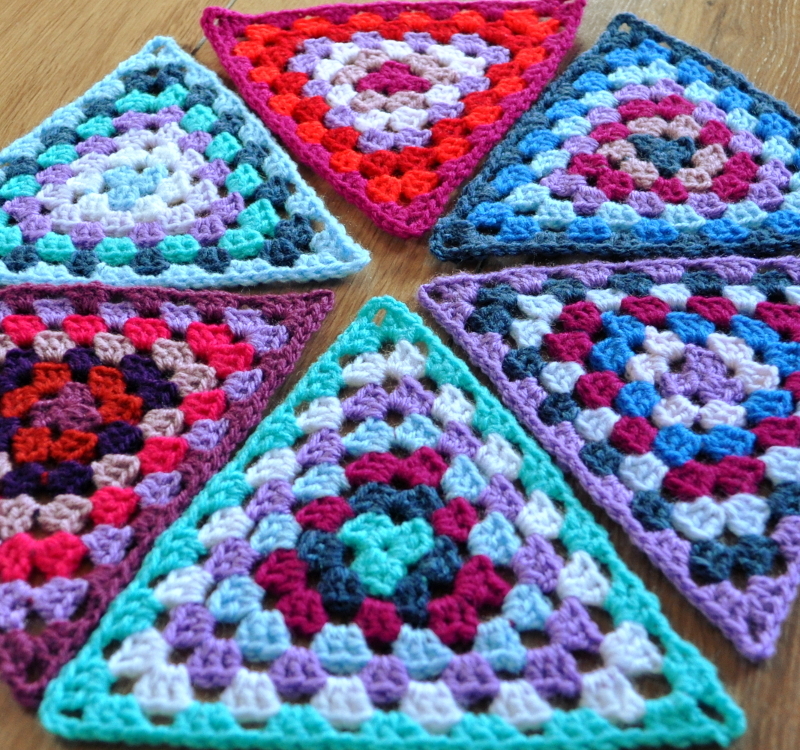 Jess gets crafty: Triangular grannies? I know! I'm making some mini triangles for a class bunting now! I made one as well! Sadly, I only got 6 rows to the 7" goal, but I think it will work out still! 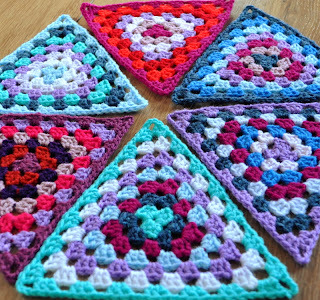 Lovely bunting triangles.I went for a rainbow theme.Pop over to my blog and have a look.Are you going to Yarndale? Love the look of them. You did a great job. I'm in US so I won't get to see the complete bunting. I was thinking how cool would it be to make a round pillow with them.